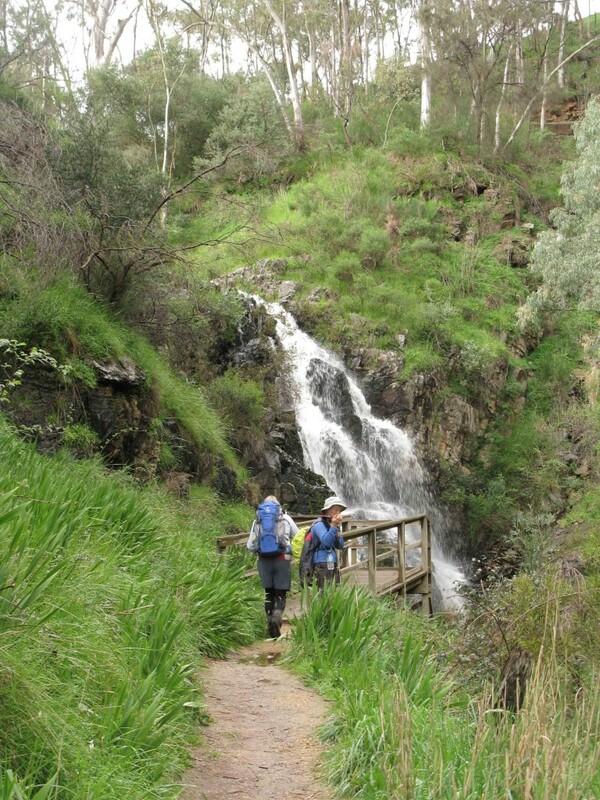 Ahead of us lay three days of superb walking along the Yurrebilla Trail which links seven parks of the Adelaide Hills. 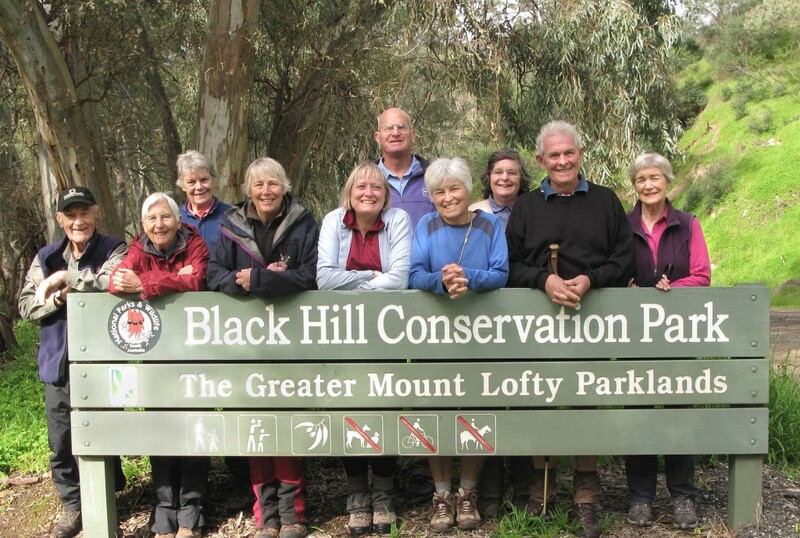 We started at the Belair Railway station and ending at Ambers Gully, Black Hill Conservation Park. 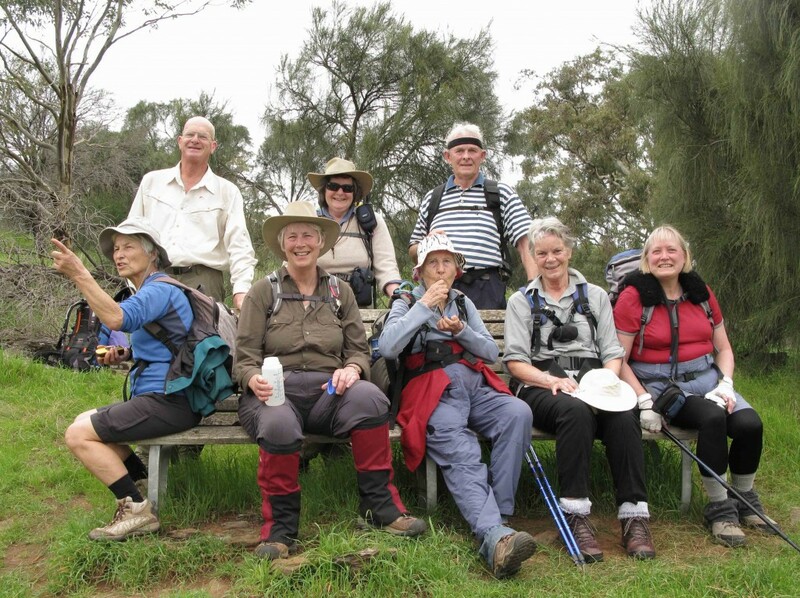 The trail is located on the traditional lands of the Kaurna people and follows old coach tracks, Pioneer Women’s Trail, Heysen Trail, a variety of paths and unmade road reserves within each park and crosses private property. We meandered through Eucalypt woodland, vineyards and orchards, had breathtaking views of the Adelaide Plains which stretched to the ocean. 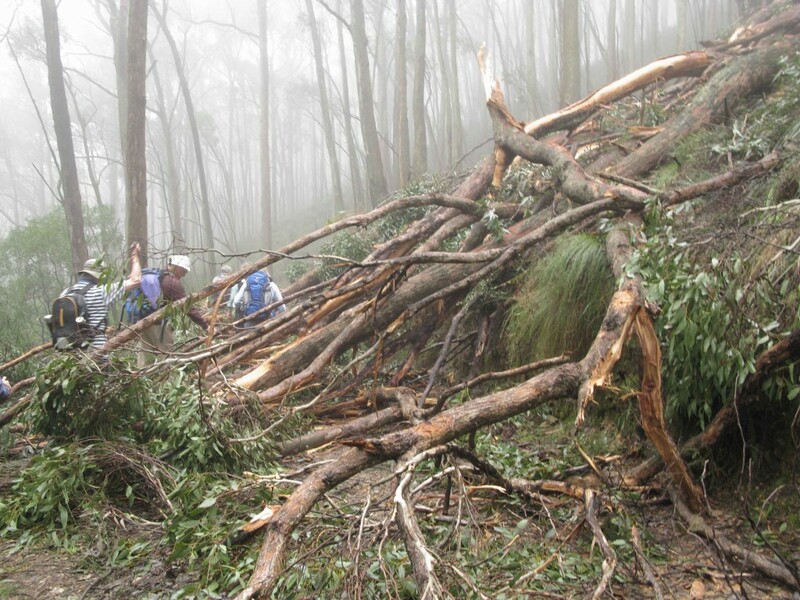 With the recent rains the creek crossings and fallen trees were at times a challenge. However the waterfalls were spectacular as the water cascaded over the rocks to swirl in the pools below; then swiftly flow along the green-banked creeks. Narrow winding tracks through dense foliage, steep climbs with equally steep descents gave the opportunity to see flora, fauna and wonderful scenery, at times in fog. Our first night was at the Mt. Lofty Hostel and the second at the Youth With a Mission Hostel (YWAM) at Norton Summit where dinner, breakfast and lunch were provided. Our thanks go to Judith who transported our luggage, Derek for his own bottled wines, and especially to Don, for his superb organisation of this camp which afforded us a wide scope of experiences to be shared with great company.